Timmaigh, just out of curiosity... between yourself and Brad, the CEO of a software company, who do you think knows more about this subject? It feels surreal sitting here reading posts where you argue with Brad over whether or not a trademark has value from identifying the software product to the public. I don't even think your opinion reflects commonsense, that of course a "brand" name has value. 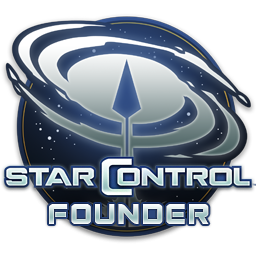 If the Star Control mark has no value, why did Paul and Fred bother using the mark without license...? Do you get it now? Where did i say i know more about the subject than him? Am i not allowed to discuss things and have different opinion? Nowhere did i say brands have no value, or that StarControl mark specifically has no value. I wasn't making the argument that you actually think you know more about the subject than Brad but that is what your posts implicitly suggest. It looked to me you were claiming, through multiple posts, that you don't believe that the mark itself was worth what Stardock paid if it was solely for the "brand" name. Brad gave multiple explanations and analogies, none of which persuaded you from your "gut" feeling. I don't know how much it costs to create a brand from nothing (but Brad does! ), but I imagine it is quite a bit. Stardock paid $300,000 and as a result didn't have to create a brand from scratch that potential customers associate with the type of game he is making. Brad is telling you that the cost of creating a new brand would exceed the cost of buying the mark, alone. You either think you know better than him, or you are implying he is being untruthful. When the CEO of computer game company says a product's 'name' or 'trademark' is worth the price he paid he's either going to be right or wrong. If said CEO is that of a successful computer game company the chances are that only one option is correct - that he is in fact right. Sorry...only reason I replied was because when I saw your forum ID I immediately thought Juffo-Wup. I'm pretty sure someone already took it but....juffo-wup! Not only that but they are a big company, they have people that does market research and they most certainly looked way further about brand value than we can possibly imagine. And they have been doing this for way longer than most game companies out there. Brand value is not opinion, it's a study that Stardock made to take the decision they did. There is nothing wrong with stating your opinion but it's clear that you don't want to just state yours, you want to convince Brad that you are right. What could you possible want to achieve without a study or evidence supporting your claim? I think the distinction he's trying to make is that there's a difference in design of the games that may have contributed to the difference in sales. Maybe that's true, who knows, those styles of games don't appeal to me and Brad is a lot closer to the numbers. It seems like you clearly have a beef with the design of AoS, but Brad is 100% correct that the brand/trademark holds a lot of value because people expect a certain style of product associated with that brand. A certain level of quality or design that they liked and draws them to games under the same brand/trademark. Kind of like my example of Sword of the Stars. It had a strong brand value after the first game because a lot of people recognized the quality of the game and liked it a lot. That strong brand value drew them to the 2nd game, which was garbage. If they had called the second game "Alien Space Smash" instead with the exact same underlying game, they wouldn't have sold nearly as many units as they probably did. For Star Control, the trademark has a high value to those that are interested in Star Control. Calling it something else wouldn't have the same draw, plain and simple. There are a lot of expectations as to the experience the player expects to receive when you call a game "Star Control". That identification to that trademark has a lot of value to those people who played it back in the day. For new people, they can go back and look at the old games and say "hey, that style of game play appeals to me" and it has value to them as well because they can play those old games if they so choose to help hook them into the new game. Yes, that was my point. And you are right, who knows. Unless there has been some kind of survey made about this specifically, Brad does not really know for sure either. I have certain reservations toward Ashes, but i think the list of its "shortcomings" compared to SupCom i made in my previous post was based on objective undeniable facts, rather than my subjective feelings. I dont like faction design for example, but i did not list that as a downside, since its rather subjective and other people might not see it that way. Regarding Sword of the Stars, the difference is, they already owned the brand, they did not have to pay for it. OK, i did not mean to come across as offended or anything. I am not trying to argue about this just for the sake of arguing, i am trying to get things explained to me. You say i am basing my beliefs on "gut feelings", but what else have been Brad´s vague "explanations" and analogies? Should i believe that sequel to 20 years old niche game is gonna sell like hot cakes, because of the soda analogy? And if i am said that cost of creating a new brand from scratch is more than buying existing mark, OK then, but to accept that claim, specifically in Star Control´s case (or computer games in general), i would really like to know, what exactly you dont to have to do now, when you have the mark, as opposed if you did not have it - from marketing POV? I assume you still need the trailer and all kind of advertising and promotion anyway, regardless of the name of the game, so where are the increased costs in the process of creating a new brand go into? This is what interests me, and i dont think it was explained to me, at least no to the extent, which would make me satisfied. So lets say i said i dont believe that Star Control mark is worth the price. It was more complicated than that but whatever. Brad actually took his time to respond to my posts, but instead of referencing any such study he has at his disposal, which would actually answer all my questions and doubts etc, chooses to address them with some vague analogies. Does not seem logical to me. Not all studies are easily findable with a google search, so my guess is it's probably company data and sales figures that aren't publicly posted much of the time. so my guess is it's probably company data and sales figures that aren't publicly posted much of the time. If you want generic studies look for it yourself, nobody here works for you and neither is Brad here to convince you, he is just replying. If you want the specific study his company conducted than you are out of luck, no company will disclose that, this is their internal resource and there is no need to show it to the public. Similar to what JerkClock said, they likely used sales figures of the previous games, expected cost of making a new game, expected sales, and current size of the market to determine the value of the Star Control mark. While real numbers are certainly at play, there is a lot of judgment around how to come up with the value of an illiquid asset like a trademark. Given that the price of games tend to decline rapidly after a certain period of time, how many sales they assume happen at the beginning vs over the life of the game impacts their view on value. Another buyer may have a different view of all these factors and come up with a totally different answer. The final, true answer to what the mark is worth will be determined when SC:O goes on sale and they see how it does over the life of the game. Was the Masters of Orion 2 IP worth $2M? Maybe, would have to ask Wargaming whether they made good money off the game they made with that IP. My guess is it wasn't, but it also sounds like non-business factors (founder of Wargaming wanted it no matter the cost and had the war chest to back it up) also played a part. Either way, we're not really in a good position to judge the value of the Star Control trademark when we have no insight into the numbers that are out there (or at least I don't). No, that's always been a big part of the appeal too me of Stardock's games. They are among the very few that aren't just stealing from us as the industry laughs in our faces and tells us that we aren't even qualified to make games. If we aren't qualified to even be game designers, maybe they should stop stealing from us. Stealing from us while insisting that we don't know what we are doing just makes them look like the talentless hacks and fools that they are. They don't care, THIS video sums it up perfectly, it's about EA, but applies abroad, and is still quite relevant today. Edit - Except the Mass Effect part, that was the Fault of Casey Hudson's "vision" of deconstructing the product they were hyping, but close enough. (EA rushing it, no doubt DID make it worse). So saying something along the lines "we had internal marketing study made which came up with a conclusion it was more feasible to buy Star Control mark then creating and promoting a new IP" and being more specific about ways how such study is conducted would be akin to revealing confidential commercial info? All this "CEO of a big company talking directly to his customers on discussion boards" is nothing more than a charade, intended to create positive public image, if even honest questions about certain things, although not easy to answer with a 2 simple sentences, make you end up being ignored, deflected or in position to take every word as gospel without any possibility to question it further. No offense, but that what it feels like. Do you spend this much time arguing whether it's worth paying for a Superbowl ad, Timmaigh? It isn't hard to figure out that "Stardock making a new Star Control game" will generate more interest than "Stardock making new space game". It wouldn't matter if they cared, they are too incompetent to do it well. They aren't capable of it. And they talk down too and insult those who are capable of it, they are the most arrogant group of people to ever walk the face of the Earth. They have almost no idea what they are doing. They really don't. They never had any desire to learn anything about game design from the people who know game and simulation design, which is definitely not them. About the only time they ever do anything well is when they steal it from us. They are the least capable people in the world at what they do, and they don't allow anyone who actually knows what they are doing into their business. They call people who actually know what they are doing "rock star game designers" and call us "the last person you want to have in your office". They are the most incompetent and arrogant group of people who have ever lived. There are a lot of very talented game simulation and designers in this world, not a single one of them works in the computer game industry. They don't let us in, because they are incompetent. Why? Are you gonna have one for StarControl next year? Anyway....is the game still in production? So it can be released/deleted the day of court victory/loss? And cause i have a life to lead, what was the reason the original creators didn't come on board as producers/designers ? The original creators didn't get the credit for creating it. I assume you mean Paul & Fred, the people who plagiarized it from the original creators? 1. Yes. It's on schedule for release this year. 2. The legal stuff doesn't involve it. 3. The original designers work for Activision now who wouldn't let them work on it with us. However, last year they got permission to work on a game as a "passion project" which they chose to call the "true sequel" to Star Control which got this whole mess started. So does Activision get a slice of their passion product? By not allowing P/F to work on your true to rights Star control game, but they are letting their employees and them leech off of your Trademark with their "true sequel" ? So wouldn't Stardock have a beef with Activision at some level?